Inspired by some of our peers, we thought we’d run our own pop culture tournament. 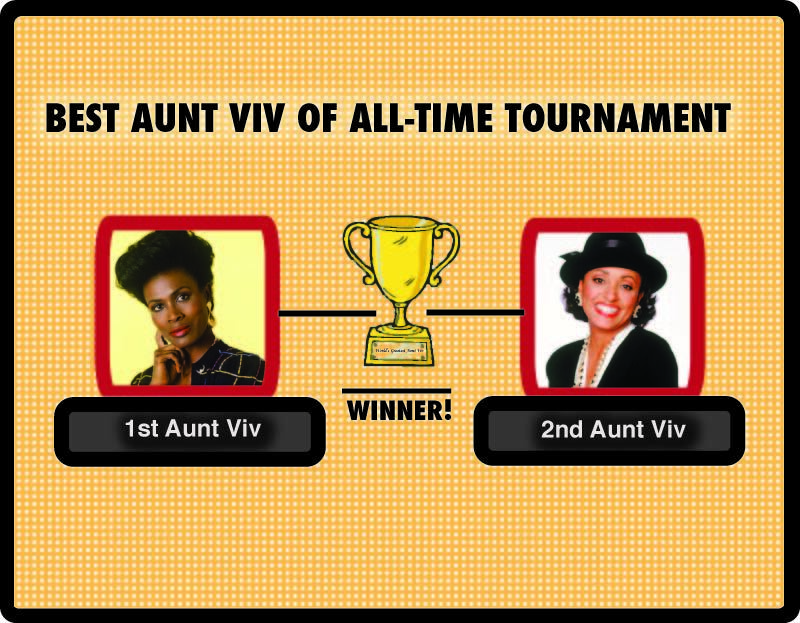 We are proud to present The Best Aunt Viv of All-Time Tournament. Check out the bracket below. There are some killer first round match-ups! Cast your ballot now! The polls close Friday at 5pm.